Once in a while I do a short video on some matches. Usually memories a book of matches I’ve kept when going somewhere, doing whatever I did. Places that handed out matches, which they do less and less because of the recent horror of smoking, so matches are a sort of endangered species. I never smoked, but I collected, haphazardly and without specific purpose, matches. 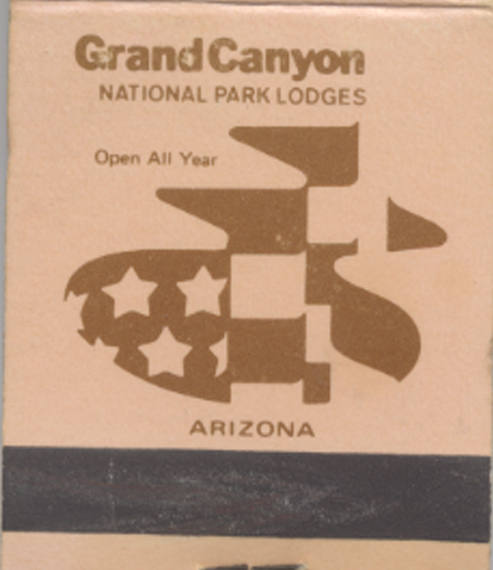 I got this one from the Grand Canyon when I first visited.